This topic contains 5 replies, has 2 voices, and was last updated by Gary 6 days, 2 hours ago. 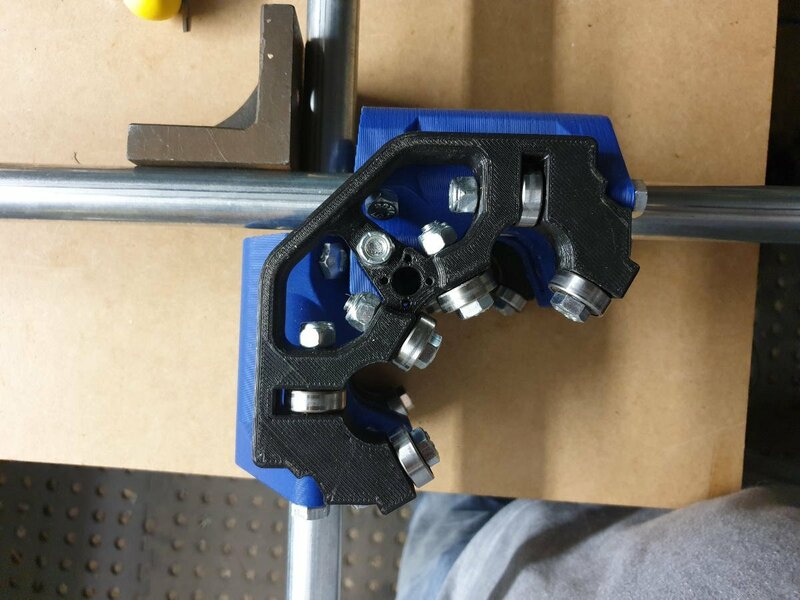 I’m having trouble getting my gantry/x and y axis square. The parts were purchased from Ryan, so no issues with the print. In the pic is a cast iron milling square fixture (it is the squarest thing I own I use it regularly on my milling machine) gap i about 1.5mm and the milling square is 65mm long, so there seems to be a significant out of square condition. I have tried tightening tension bolt B to no effect. I have also tried various tensions on tension bolts A and C also to no effect. I have assembled it and disassembled several times, but it always shows the same error in the same direction. A few more pictures would help, I can’t really check your build or see what is going on with that one. The other suggestion is from the FAQ’s, use it for a bit, see if it “breaks in” some. The only thing that could actually be assembled wrong is the Z axis. A twist, or just improper spacing is possible (hard to do but possible). 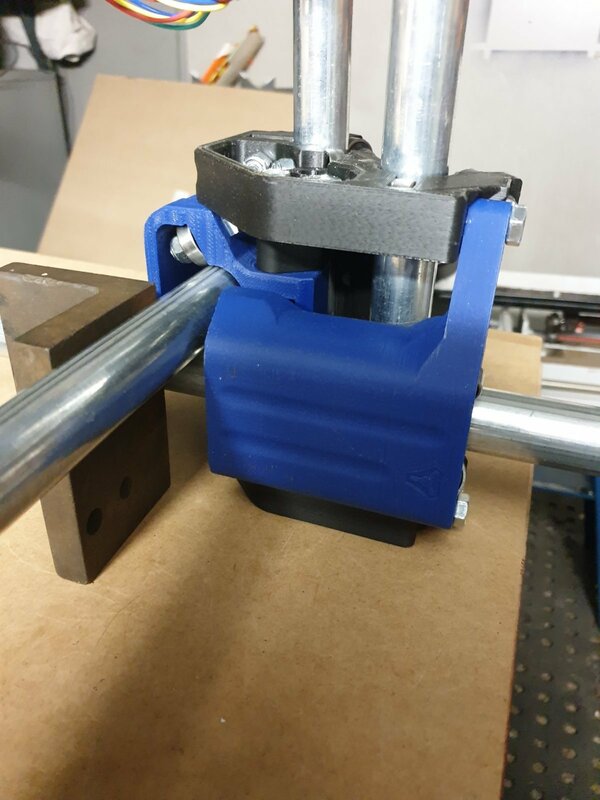 checked the z axis – looks Ok.
None of the tension screws seem to make any difference. Go through the instructions again. 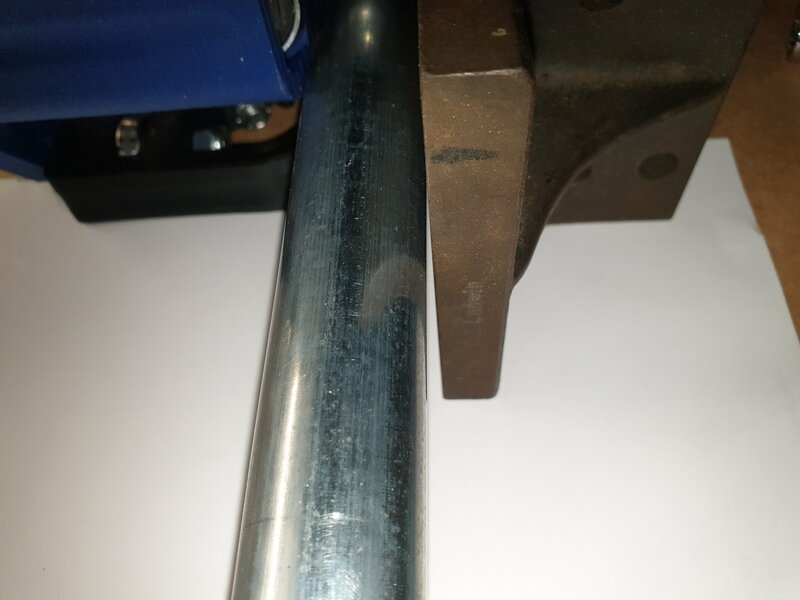 You can not check anything without all 6 rails in place, the 2.5″ do need some tension. There are a ton of things you need to learn before you have to cut perfect exact squares. At least drawing a crown or five. 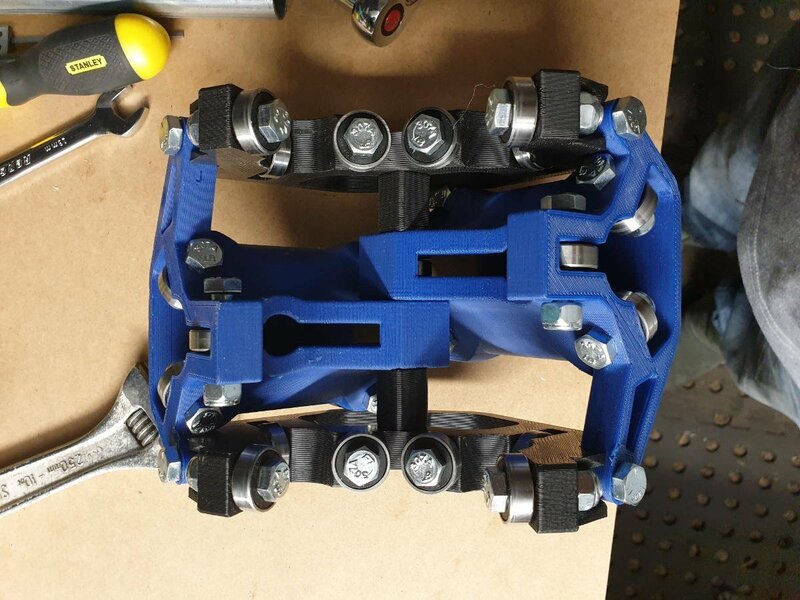 What happens is some of the bolts move a bit (to a more correct position, some even get less tension) and things tend to work better after a little use. No idea why this happens for some people but it does. A full build picture really helps, at least the complete center assembly, as I said it has to be complete before you can check or adjust anything. Will complete the build of the whole device and check it out then. Was just trying to complete this stage as well as possible before proceeding.